Hoarding has become a major concern in the United States over the last several decades. It is defined as a severe anxiety disorder that prevents the affected individuals from assessing the true value of their possessions and making informed decisions. Therefore, hoarders experience the need to constantly acquire more and more items, including even trash and debris. Worse still, they refuse to throw anything away out of fear of losing something important, valuable or useful. As a result, the accumulated junk builds up to monstrous proportions, causing severe sanitary problems and fire hazards and restricting access through the house. The living conditions in the hoarder’s home quickly deteriorate over time, putting the health and safety of everyone in the building at risk. Efficient measures are required to prevent greater troubles and restore the normal life of the affected person. 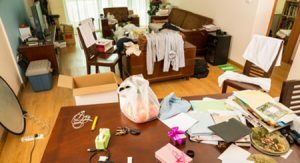 People who struggle with hoarding, however, usually don’t realize the problem, so it’s up to friends or family members to reach out and help them understand the importance of cleaning up and organizing their homes. 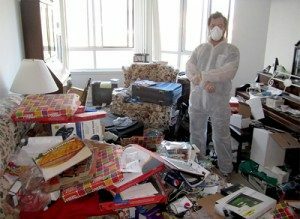 ServiceMaster 24 Hour provides hoarding cleaning services in Palm Harbor, FL to help clean and disinfect hoarders’ homes. We sort through the accumulated items, remove unwanted stuff (garbage, useless objects, damaged articles, etc.) and completely sanitize the home. Our professional approach is based on compassion, trust and respect and we make every effort to keep the affected individual actively involved in the process. Our highly trained and certified technicians can successfully handle any case of hoarding with the help of advanced cleaning products and equipment. We will not only remove all the accumulated junk and clean up the premises, but will also help hoarders organize their belongings and maintain the good condition of their homes. We develop a cleaning plan in collaboration with the client and his/her family, and help find qualified counseling if necessary. We let the affected individual make the final decision on what to do with each and every object, so that they are in control of the process. We keep the affected individual involved in every step of the process. If a family member or a friend of yours is struggling with hoarding issues, you can help them – arrange for their homes to be restored to safe and sanitary living conditions, so that they can resume a normal life. 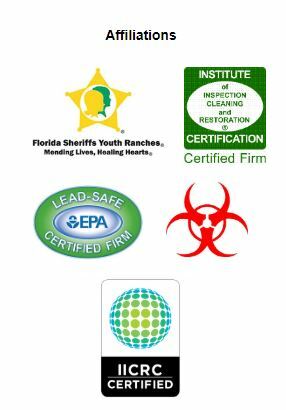 Just call ServiceMaster 24 Hour at (727) 228-7282 for efficient hoarding cleaning services in Palm Harbor, FL.